This month I am using the beautiful "Gale Song" kit and Add on kit from Scraptastic Club. 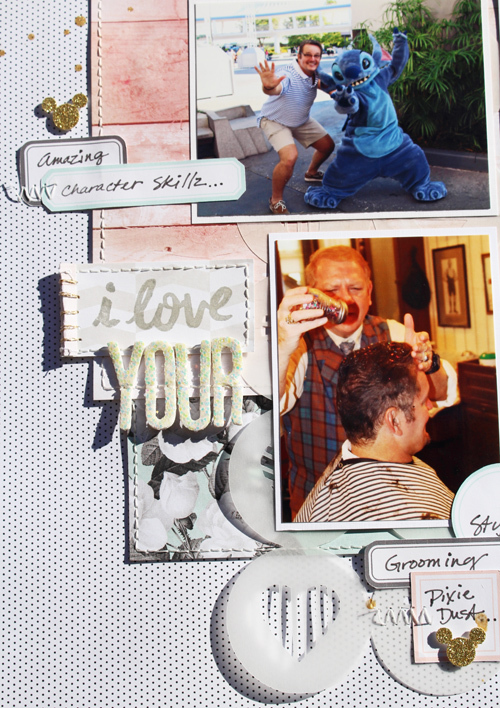 For this layout I also used the Sunday Morning Digital cut file and the Gale Song digital Print and cut labels . I added some white glittery thickers from one of the past kits. I cut the heart circles digital file from vellum and it was a perfect background. 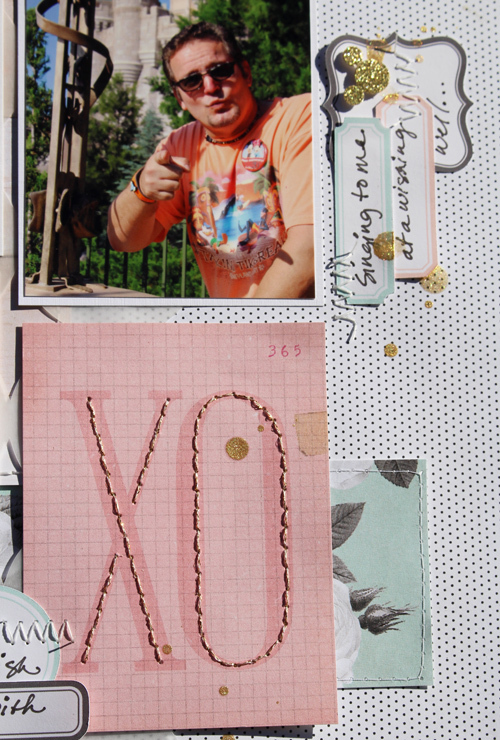 I hand stitched over the XO on the journaling block.